There are over 3 billion people on the web, and it has invaded nearly every imaginable aspect of modern life. Babies are born with iPads in their tiny hands, smartphone users are projected to be comfortably in the billions, and most consumers research products online before they buy anything. In this day and age, businesses can’t afford to avoid expanding brick-and-mortar operations into the digital world. There’s an e-commerce site somewhere for just about any product consumers might want to buy, and adding an online portion to peddle your wares is mostly a no-brainer. It gets a little trickier, though, when your business provides services rather than goods. There will always be industries that need to exist primarily offline, but you also can’t ignore the fact that you need a strong web presence. Most businesses, even those that don’t sell tangible products, have stepped into the digital age with websites that list locations, menus, and hours. It’s a good first step, but there’s an even better feature to add: texting. Over 90% of American cell phone owners text, and calling has become less common than texting. Realistically, your customers are probably busy and don’t really want to spend time talking on the phone. You and your employees are busy, too, and time you spend on the phone is valuable time that can be better utilized doing other things. OwnerListens’ SMS channels simplify the process of communicating with your customers, especially if they’re just making appointments or ordering food ahead for pickup. Phone calls are inconvenient, expensive, and too slow. They waste time and money, and if you miss one, a potential customer is going to order lunch from your competitors. Texting is the opposite. Customers can schedule haircuts while on the train and get a response from your business immediately while your employees multitask. Live chat options are costly, too – they let your customers communicate instantly, but to respond quickly, you’ll need someone specifically dedicated to answering chat messages. Texting with OwnerListens sends messages directly to employees’ own phones, so whoever has a spare minute can respond. You can also set up escalation flows so that if no one responds in 10 minutes, the message goes further up the chain of command to someone who can reply. Don’t rely on notes hastily written from a phone call: when your customers order over text, you’ve automatically got a record of what they want, with significantly lower chances of any misunderstandings. OwnerListens routes messages to the right employee – your customer’s question about rescheduling goes to the front desk, not to a manager who’s nowhere near the appointment book. Unlike ordering apps, with OwnerListens, you pay a low subscription fee instead of losing a chunk of change on each transaction. These days, it’s not enough to have a mere web presence. Your business needs the capability to handle customer inquiries from your website, and asking them to call you is inconvenient and impractical. SMS channels give you the ability to take orders and schedule appointments smoothly in real-time. 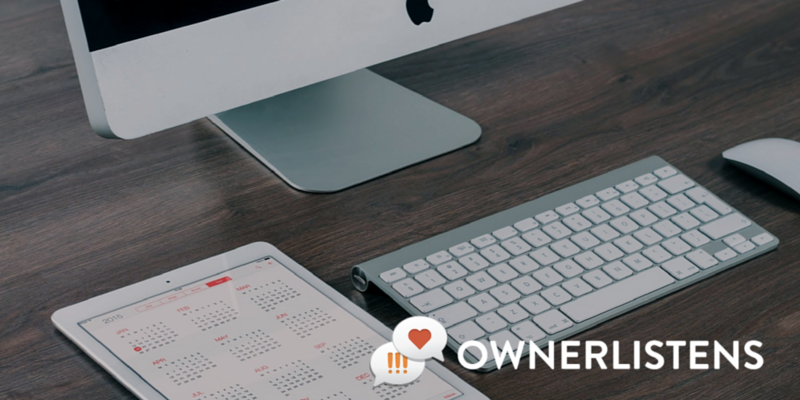 OwnerListens helps you integrate your business’s online and offline components so you can focus on operations. It goes without saying that e-commerce is already a humongous industry with nowhere to go but up. And with the ever increasing texting customer-base, now is the right time to add an mobile instant messaging platform for your business. OwnerListens offers an inexpensive solution, cheaper than live call centers and more effective in managing the ever-increasing demand for instant customer service.